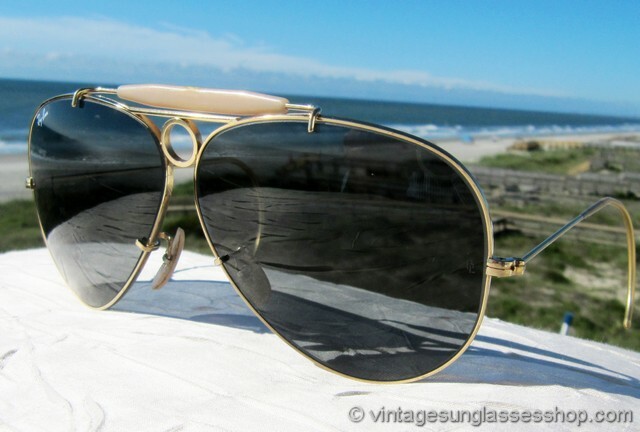 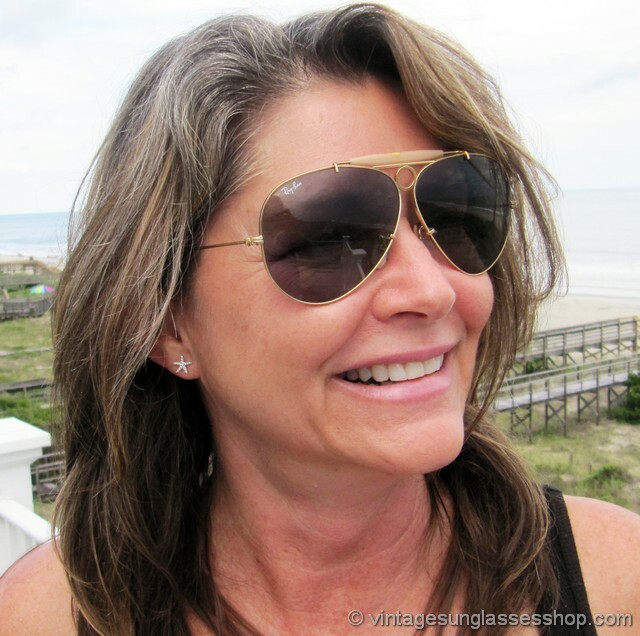 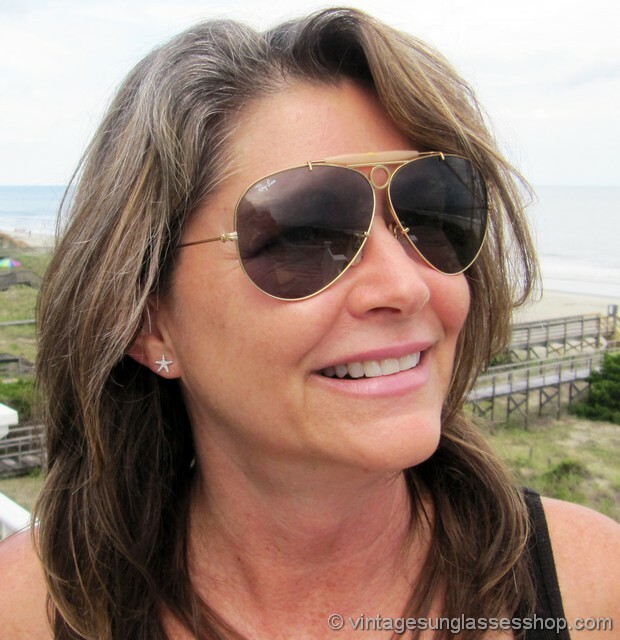 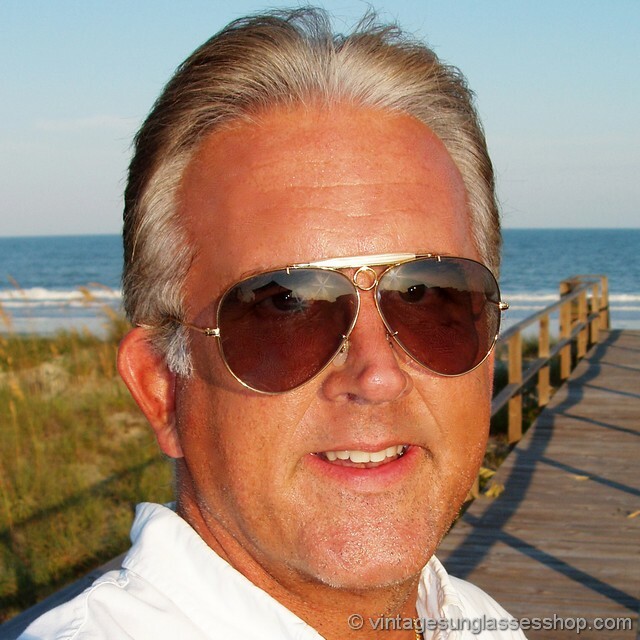 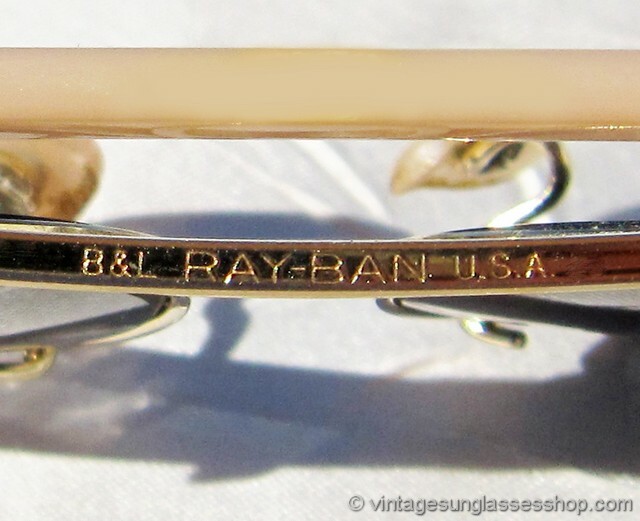 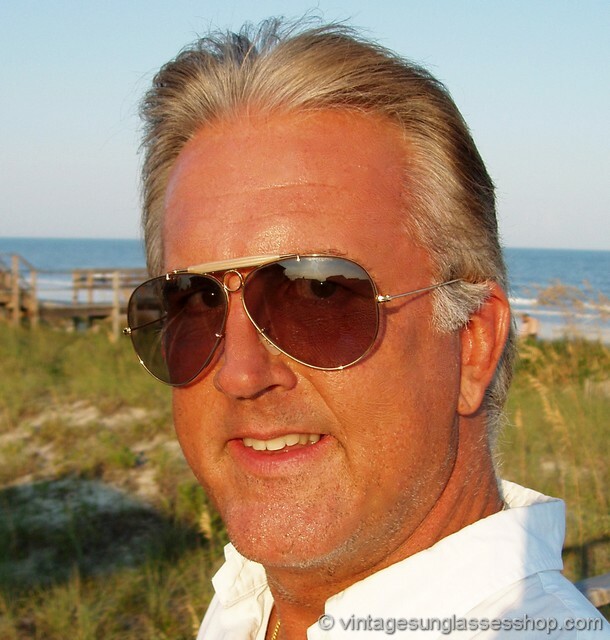 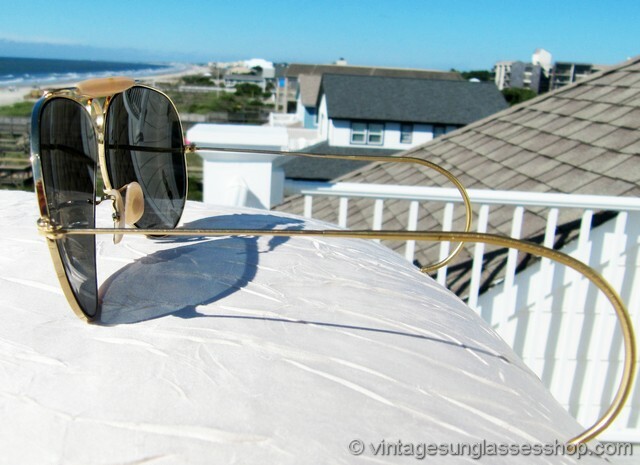 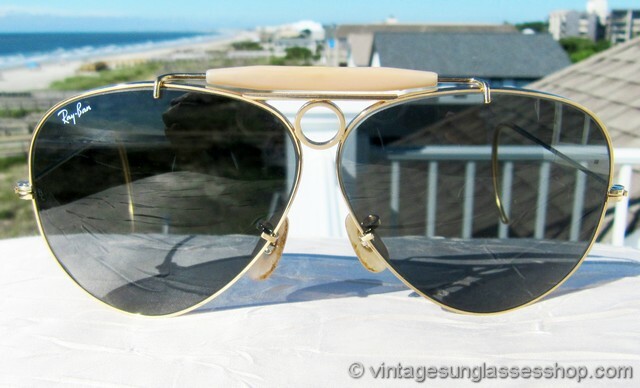 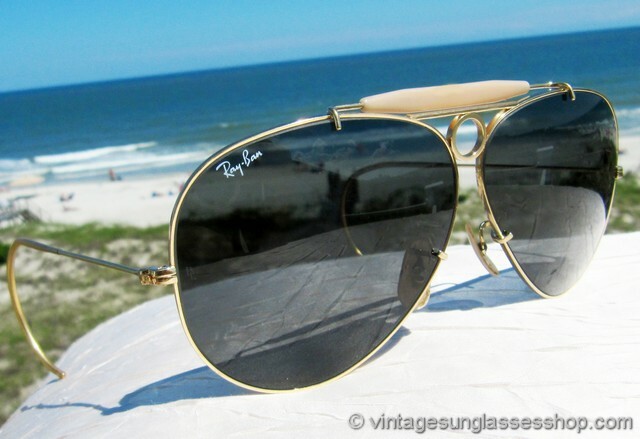 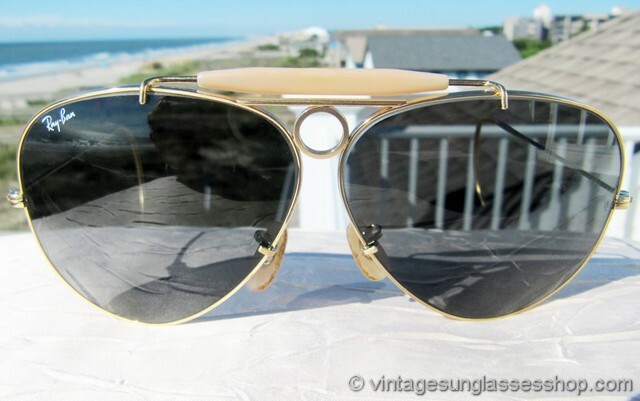 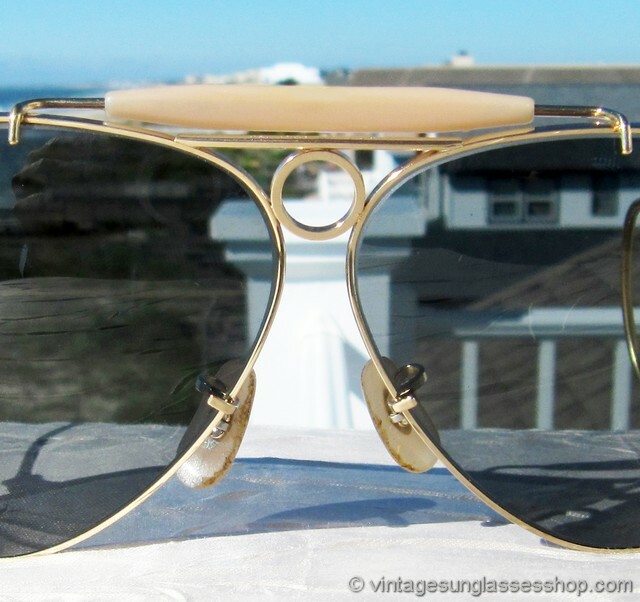 1 Vintage Ray-Ban Super Changeables bullet hole shooter sunglasses feature the bullet hole shooter design to improve balance on the face and cable wire Outdoorsman ear stems for the most secure fit possible. 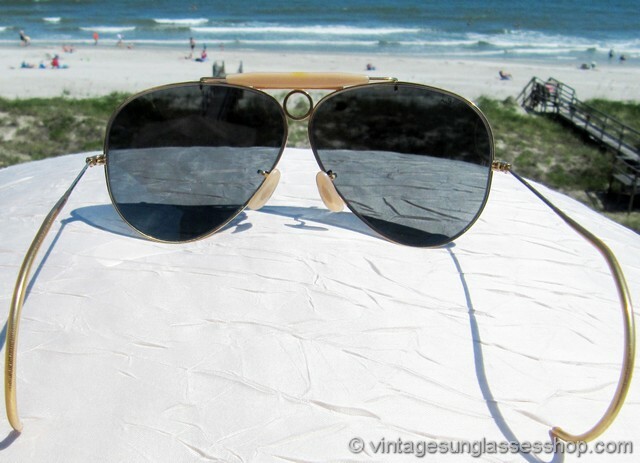 That being said, the stars of the show are the Bausch & Lomb Super Changeables PhotoSun lenses that react to the sun's brightness to protect your eyes. 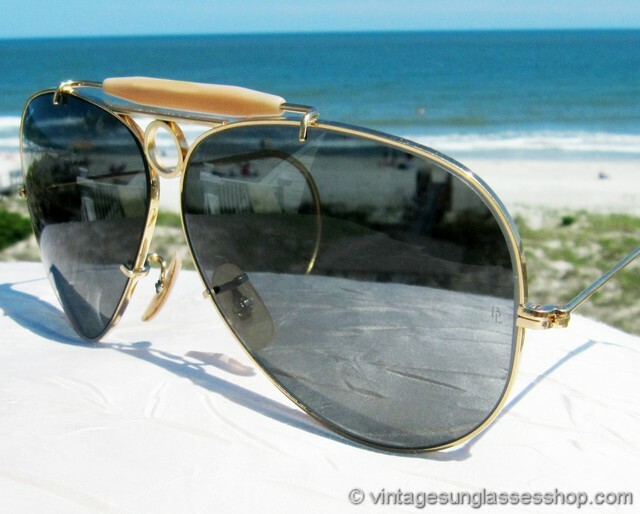 Ray-Ban Changeables sunglasses incorporate these innovative Bausch & Lomb photochromatic lenses that react to the sun's brightness to protect your eyes in all light conditions. 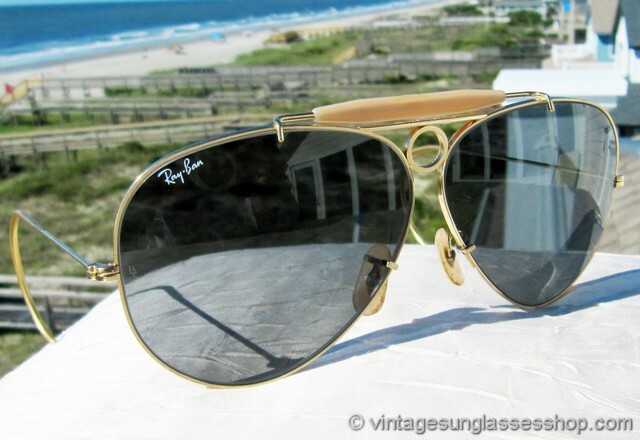 Ray-Ban Super Changeables lenses darken even more than regular Changeables for stronger light conditions and more sensitive eyes, and they filter out 100% of harmful UV rays that can harm your eyes. 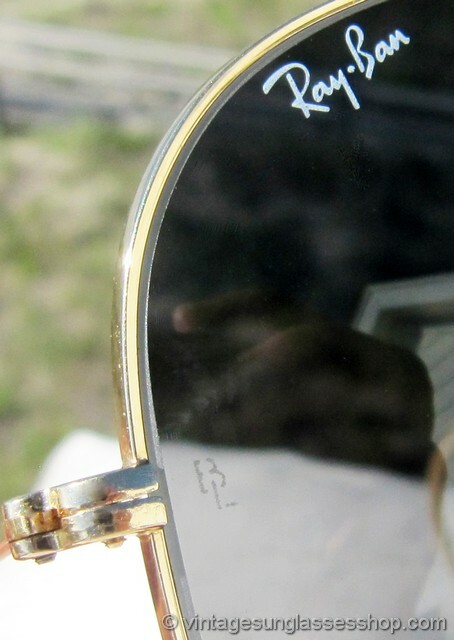 This change in lens density which results in dramatic lightening and darkening is a lifetime feature of these B&L Ray-Ban lenses and will not disappear or weaken over time.The unisex Ray-Ban Outdoorsman frame measures approximately 5.25" temple to temple, and the Bausch & Lomb lenses measure approximately 2.25" x 2.0" at the widest points while the top of the nose bridge is impressed B&L Ray-Ban U.S.A. Rare.